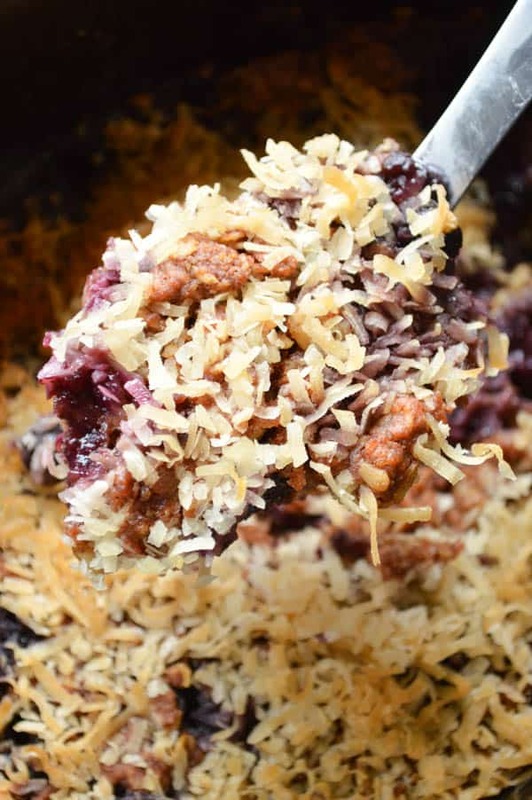 Fresh blueberries and a little cake mix are covered in oats, cinnamon, spice, and sweetened coconut to make this Slow Cooker Blueberry Coconut Cobbler. It’s a great dessert to serve to a crowd that you can easily make ahead! 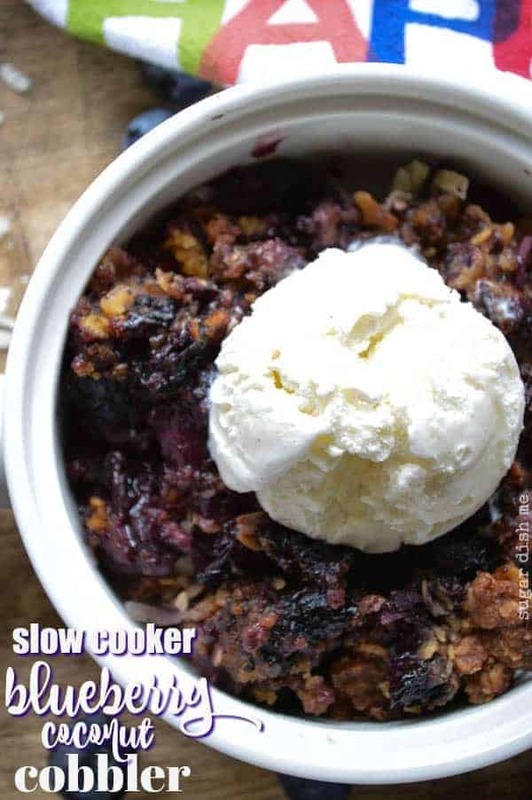 I made this Slow Cooker Blueberry Coconut Cobbler back in July 2014 originally. I make it (and variations of it!) often, especially when I am feeding a crowd! I have added a few new photos for ya here in July 2018, but other than that I haven’t changed a thing. 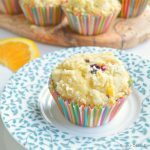 This recipe is totally tried and true! 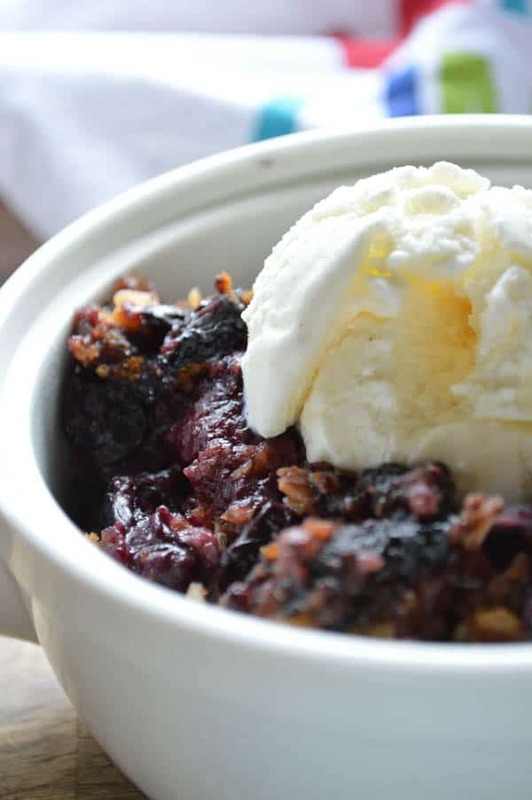 Before this Slow Cooker Blueberry Coconut Cobbler, I’d never made dessert in my slow cooker. I mostly use mine to cook meat that I don’t feel like dealing with. I’m a big fan of things like Slow Cooker BBQ Pork Tacos and Slow Cooker Honey Sriracha Chicken Stir Fry. This cobbler though? It has made me a believer! I might even turn into one of those mad kitchen scientists that tries to whip up cheesecake in the slow cooker. One day y’all might get me to buy an Instant Pot. Our neighbor gave us a huge bag of freshly picked blueberries, and they were just begging to be used. So I needed something simple that would use several cups of berries before they started to turn to mush. I cannot even get over how easy this recipe was to throw together, or how well it turned out. My small guy came up the stairs while the blueberry cobbler was slow cooking and the whole house smelled like a big delicious pie. There are no Glade plugins in the world that can make your house smell as good as when you’ve been slow cooking something all day, but slow cooking blueberries?! Forget it. I’m gonna bottle that deliciousness and make my millions. 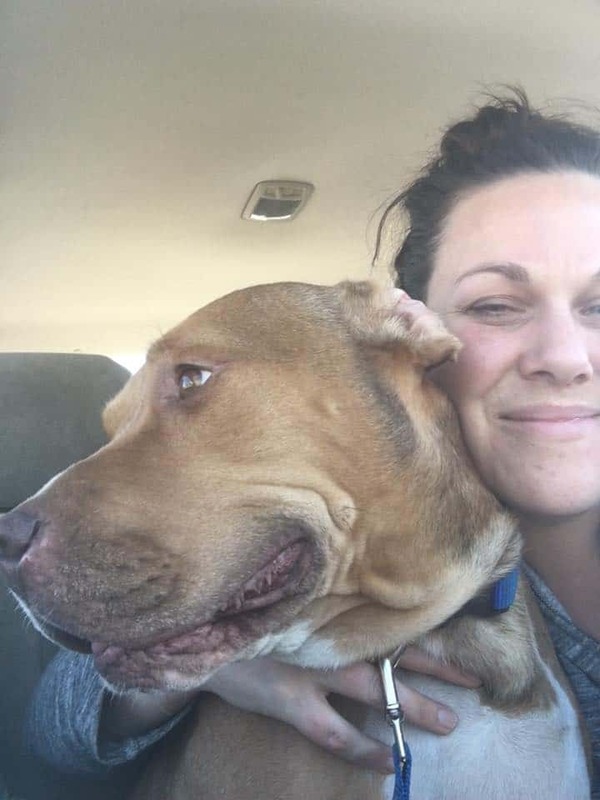 I was right though – he wouldn’t eat it. But he did look longingly at that massive pile of whipped cream I added to the top. It’s really only a matter of time before he figures out his taste buds are all wrong, and I have to fight him for the blueberry desserts. 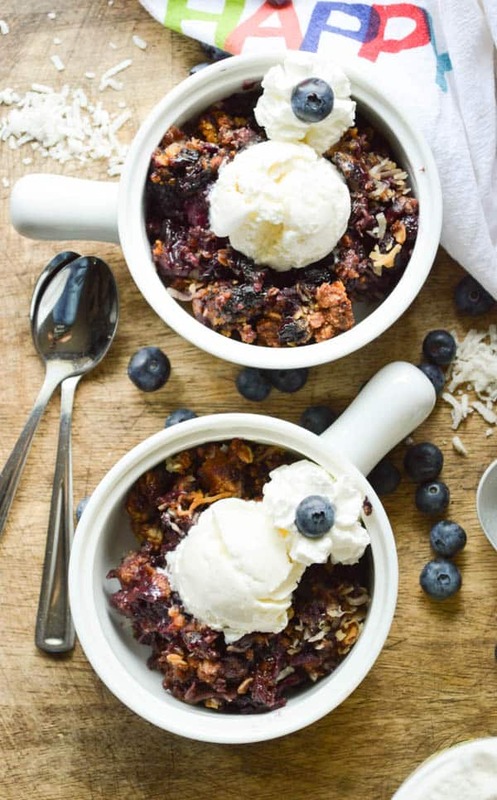 But for now — for just right now this crazy delicious slow cooker blueberry coconut cobbler is kid-plate free! It would be so perfect for a BBQ or something where you need to make dessert ahead of time. Just scoop and serve! 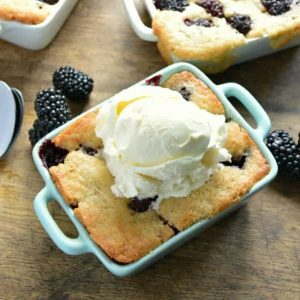 Of course you should add whipped cream or ice cream because cobbler is wrong without it. Oh! And before I forget — let’s talk about the cake mix. Am I the only weirdo that routinely has half a box of cake mix hanging around? I think I never actually use it to make cake is the problem. 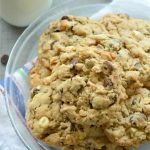 [See Autumn Spice Cake Mix Cookies]Anyway, white cake mix, yellow cake mix, vanilla cake mix — any of those will do the trick. Eat all the crisps and cobblers! 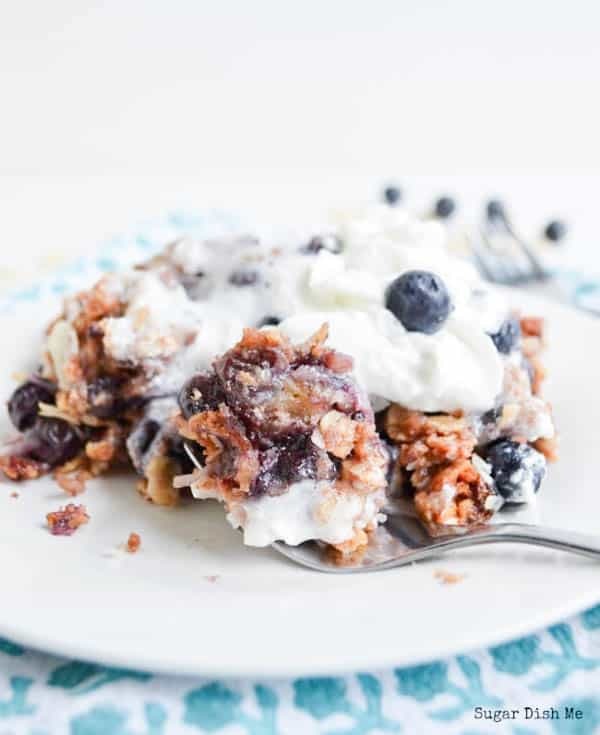 Fresh blueberries and cake mix come together with oats, cinnamon, and sweetened coconut to make this super simple Slow Cooker Cobbler. This dessert would be great to serve at a potluck or BBQ -- start it and by dessert it's ready to serve! Toss the blueberries with 1/4 cup of the cake mix. Add them to your slow cooker. Cover the blueberries with the crumbly mixture. Sprinkle the coconut over the top. 1. I would recommend old fashioned oats for this recipe. You could use quick oats if that's what you have on hand, but I'm not sure the texture will be quite as crisp/crumbly on top because quick oats are ground. 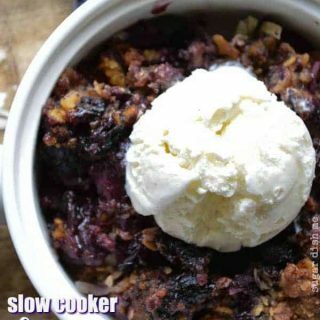 Heather, I can’t believe I have never made a slow cooker dessert! This looks too good (and the fact that you just throw it in the slow cooker, walk away, and come back to perfection is pretty great). My mouth is watering just thinking about this, Heather! What a great recipe. 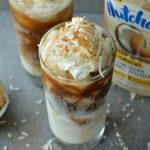 I’ve never made a dessert in my slow cooker but I totally need to change that! Pinned and sharing on FB. Have a great weekend! What, he doesn’t like blueberries??? I’ll take his share! 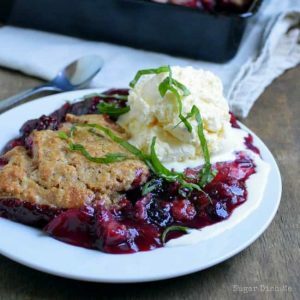 I love the coconut in this cobbler Heather, AND that is made in the slow cooker just makes me so happy! What size slow cooker are you using? Can you do this with frozen blueberries?